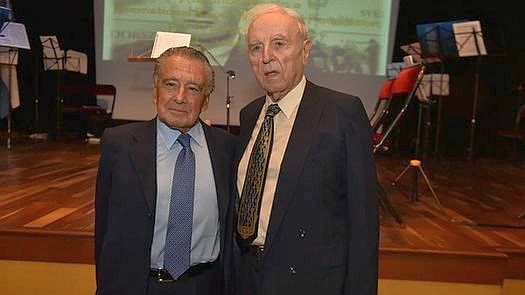 The recognition will be presented to the Argentinean businessman, Eduardo Eurnekian, chairman of the International Raoul Wallenberg Foundation (IRWF), founded by Baruj Tenembaum. In the last years more than 380 churches, convents and monasteries that served as refuge to Jews persecuted by the Nazis were identified in Italy, France, Belgium, Poland, Hungary, the Netherlands, Denmark, Greece and Albania. Piero Piperno was 15 years-old when in December 1943, in Rome, he and 11 members of his family managed to save their lives thanks to Mother María Elizabeth Hesselblad, a little nun who opened the back door of the Church of Santa Brigida and hid them till June 4, 1944, when the city was liberated from the Nazi occupation. The story of Piero and Mother Elizabeth is just one of the many stories of heroism, compassion and courage that, even after more than 70 years from the Holocaust, still deserve to be told. “In those days, there was not a great sense of solidarity between people. Following the liberation of Rome, we could get back to our businesses, our women returned to the Market of Campo dei Fiori to shop the groceries. 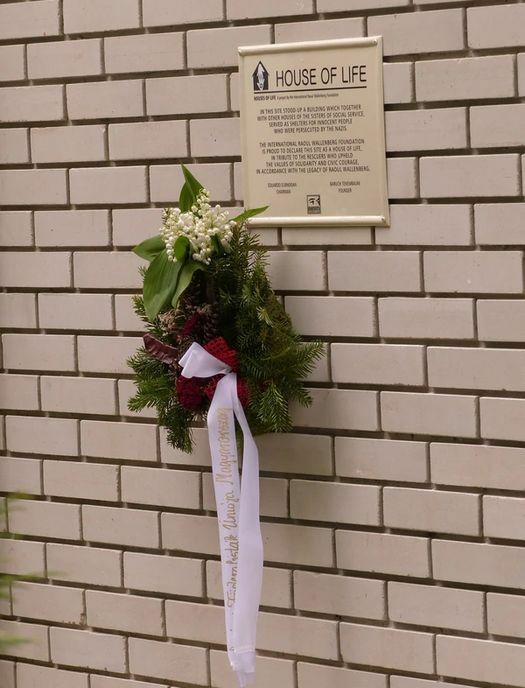 People would greet us and say: “We know you were hidden by the nuns”, stated Piperno when he unveiled in 2015 the plaque that identified the Convent of Santa Brigida as a “House of Life”, and added: “We always spoke of those who left us, those who did not return because they were turned in. One day, we decided to change and started remembering the good people, those who had helped us, those who had risked their lives to save others”. It was in that spirit that the IRWF, presided by the Argentinean businessman Eduardo Eurnekian, started 4 years ago the “Houses of Life” program, an initiative aimed at shedding light over the hitherto unknown testimonies of religious women and men who risked their own lives to host Jews persecuted by the Nazis, identifying with memorial plaques the convents, churches, seminaries and schools where the persecuted ones had found shelter, food and care. From its inception, more than 380 “Houses of Life” were identified in Italy, France, Belgium, Poland, Hungary, the Netherlands, Denmark, Greece and Albania and this has led a group of US legislators – Democrats and Republicans – to promote the recognition of the International Raoul Wallenberg Foundation, something the US Congress has already done back in 2014. 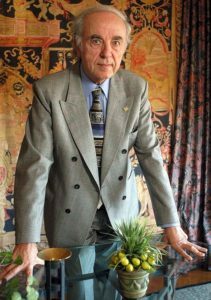 The origin of the program goes back to the 1990’s, when the late Cardinal Antonio Quarracino, then Archbishop of Buenos Aires, turned to his friend Baruj Tenembaum, Founder of the International Raoul Wallenberg Foundation, with a discreet request, suggesting that after the passing of Quarracino, the prestigious NGO should start researching and divulging the fact that Catholic Institutions had given refuge to Jews, thus saving them from extermination during the Holocaust. Between 1939 and 1945, during the Holocaust, a great number of Jewish parents facing imminent detention and deportation to the Concentration Camps (which resulted to be Extermination Camps), would leave their children in Catholic Institutions, with the hope that the latter would face a better destiny. Hence, many churches, convents, abbeys and catholic seminars turned into the home of a great number of children whose caretakers taught them to appear as Catholic in order to avoid being identified by the Nazis who invaded the cities and were looking after hidden Jews. Some of them, like in the case of Piero Piperno, did keep their Jewish faith, which was respected by their religious hosts. Others opted to convert to the Catholic faith and even became priests and nuns. These incredible stories of rescue were poorly known for many years, following explicit orders given by the Catholic authorities that wanted to preserve the integrity of those who were saved by them. The job of the IRWF, through the “Houses of Life” program, strives to shed light on those stories, and this effort has led the members of the US Congress – both Democrats and Republicans, to offer a special tribute to the Foundation in the person of its Chairman, Eduardo Eurnekian, which will be officially announced in the near future. It is not the first time that the US Congress pays tribute to the Wallenberg Foundation and to Eurnekian. Back in 2014, the Foundation and the Argentinean entrepreneur were acknowledged by the US Congress due to the “significant contribution to preserving and promoting the extraordinary legacy of Raoul Wallenberg, the WWII Swedish diplomat credited with saving scores of Jews in Budapest from the horrors of the Holocaust”. That same year, following an initiative of the IRWF, Raoul Wallenberg was posthumously bestowed the Congressional Gold Medal. The International Raoul Wallenberg Foundation is an NGO with a mission to develop educational programs and public campaigns which promote the moral legacy of those who risked lives to save Jews during the Holocaust and in recognition of all the rescuers of all genocides. Founded by Tenembaum and presided by Eurnekian, it has amongst its members Jorge Mario Bergoglio, nowadays Pope Francis. 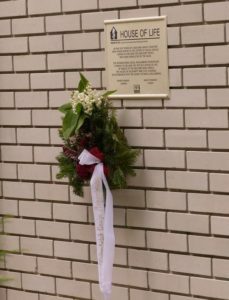 The NGO carries the name of Raoul Wallenberg, the Swedish diplomat who saved 100,000 Jews during the Holocaust and himself became a victim when on January 17, 1945, he was detained and abducted by the Soviet forces stationed in Budapest. Ever since, his destiny continues to be a mystery.